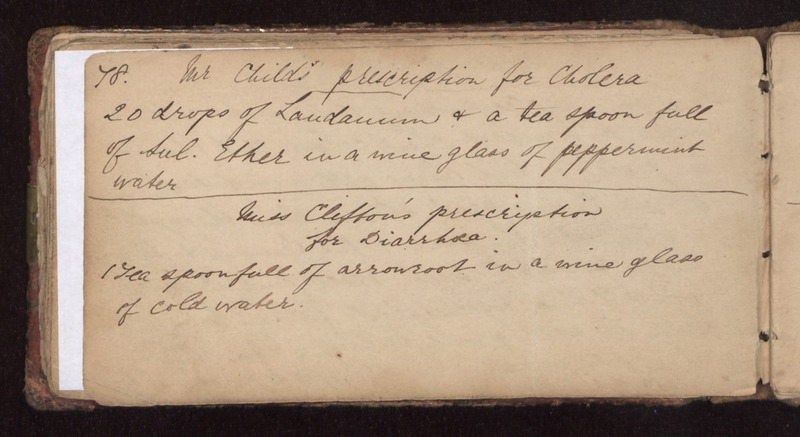 Mr. Child's prescription for Cholera 20 drops of laudanum & a tea spoon full of sul. ether in a wine glass of peppermint water Miss Cliffors' prescription for diarrhoea. 1 tea spoonfull of arrowroot in a wine glass of cold water.